Bump has some veteran app status. It’s been around since 2009, and has been thrilling users with its so-easy-it’s –stupid sharing tool. 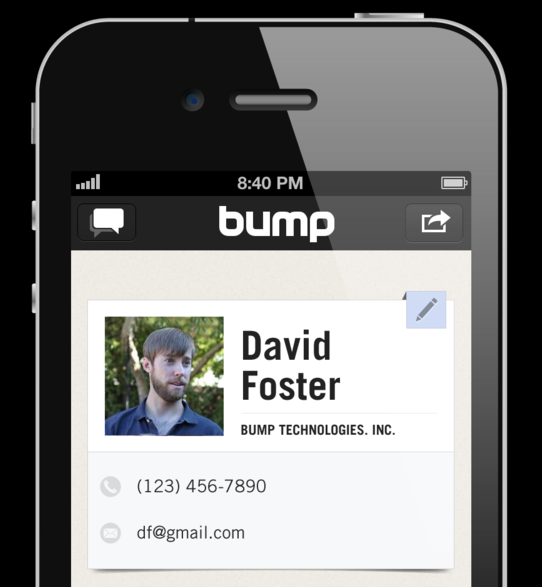 When it all got started, Bump was solely a way to transfer contact information between iOS devices. But as all apps do, it grew and launched Android integration, and upped its feature inventory: recent versions of Bump added the ability to share photos, schedules, music, and other apps. In addition to clearing out the clutter, Bump has much improved its navigation. You can swipe between different things to bump instead of being crowded into one page, for an altogether faster experience. Bump says this also brings its friend discovery feature to the surface. When you use Bump with someone, the app will automatically reveal all of your mutual friends. Honestly, contacts and photos were the only items most of us used on Bump. It’s refreshing to see an app clean house instead of add new features until it’s bursting at the seams with tools you never use, and possibly moving further from its original purpose.